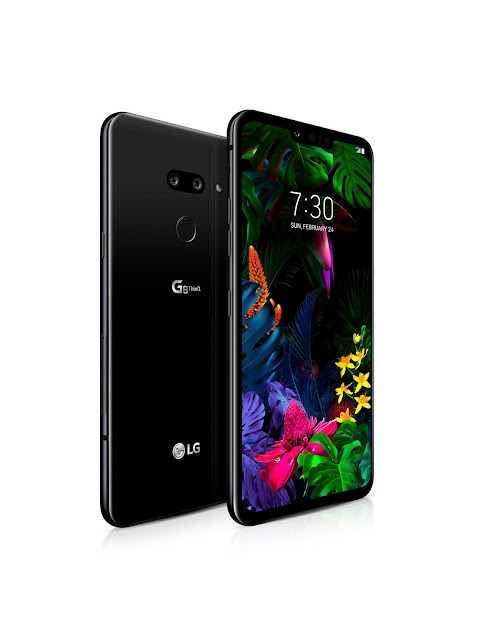 Today, LG Electronics (LG) announced the availability of LG G8 ThinQTM, the company's latest flagship smartphone. Unveiled last month at Mobile World Congress (MWC) 2019 in Barcelona, LG G8 ThinQ features a refined minimalist design, innovative audio experiences, new camera hardware and software, and state-of-the-art touchless controls and biometric security features. "LG G8 ThinQ has features never before seen on a phone and was meticulously designed to give consumers the latest technology from LG," said William Cho, president and CEO of LG North America. "With multiple forms of biometric security – including newly introduced Hand ID and 3D Face Unlock – Air Motion touchless controls, a front-facing ToF sensor and Crystal Sound OLED, LG G8 ThinQ is LG's most innovative smartphone yet." For more information on LG G8 ThinQ, visit www.lg.com/g8. Measurements: 151.9 x 71.8 x 8.4mm / 5.98" x 2.82" x 0.33"
**Usable storage will vary by carrier and will be reflected in all communications accordingly. At least 103 GB available on the LG G8 ThinQ. ***Wired headphones or speakers required. ****Tested under controlled laboratory conditions with an IP68 rating. Water resistant up to 1.5 meters for 30 minutes. Dry before using. Do not charge while wet. *****Compliant with the following methods for MIL-STD-810G: 500.5, 501.5, 502.5, 503.5, 505.5, 506.5, 507.5, 509.5, 510.5, 512.5, 514.5, 516.5.